Meeting at UVA's AFC (Aquatic and Fitness Center) parking lot at 4:00PM and then a short drive to a lovely home in the country, with views of the Blue Ridge Mountains. If it is difficult for you to get to the AFC on a Sunday, just email us, and we can provide a pickup at your apartment. 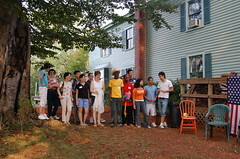 This picnic and welcome event is for all international students and scholars at UVA. 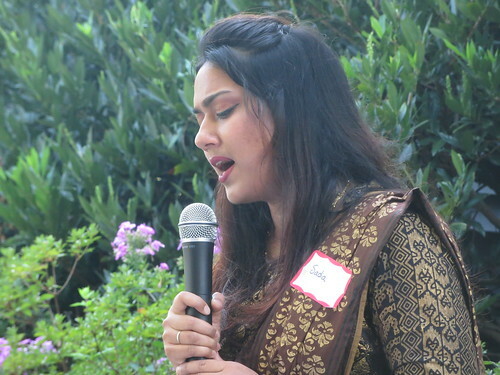 Students from around the world can come to ISI Activities and meet other students. Friendships are formed that can last throughout your time at UVA. Local American volunteers interact with internationals throughout the picnic. WHAT WILL GO ON AT THIS WEEKEND'S INTERNATIONAL PICNIC? * Enjoy picnic setting and activities in a beautiful setting with a view of the mountains! George Morris, Chaplain of the UVA Football and Basketball Teams. George Morris will share about his experiences with high level athletes. He will also share about how he has seen God change and rescue lives, including his own. The Welcome Picnic is a great place to be this weekend. Maybe you know another international student new to Charlottesville who did not get on our email list – invite them to join you at the Picnic.